Amidst reports that Goa is going to be ‘cashless’, the Bombay High Court at Goa has introduced ‘e-payment of court fees’, which would help litigants and advocates to make court fees payment online using the e-challan payment gateway website through net banking, debit/credit cards with any of the registered banks in the website. The service, which will be available for the High Court of Bombay at Goa, District and Sessions Courts as well as all sub-ordinate Courts in Goa, will be in addition to existing system of payment of court fees through Court Fees Stamp. The advantages of e-court fees system has been listed in the manual, which is available for download on the High Court web portal. The merits of this system are: 1) No queue for obtaining of Court Fees Stamp. 2) No waiting period due to non-availability of Court Fees Stamp with Stamp Vendor. 3) Exact amount of court fee can be paid. 4) Electronic payment gateway service available round the clock 5) Registered user can track his transaction of e-payment. 6) No risk of Court Fees Stamp procured getting damage/lost or of Counterfeit Stamp. 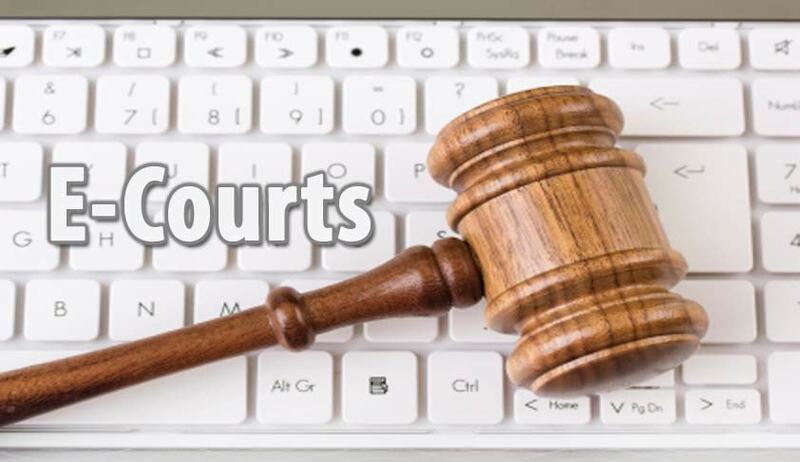 The high court would be using e-challan payment gateway introduced by the Directorate of Accounts, Government of Goa, for initiating service of e-court fees through electronic mode of payment in Goa. The e-payment of court fees is to be done prior to filing of the relevant case or document in the court and the challan receipt would need to be attached along with other documents during the filing process in the court.